A tradition of building quality New Zealand made boats. Circa Marine are specialist aluminium boat builders and fabricators. If it’s a workboat, pleasure boat, fishing boat, ferry, pilot boat, rescue or barge. For over 40 years, Circa Marine has excelled in high quality aluminium fabrication. At our dedicated workshops in Whangarei, New Zealand, offer a full design and build package of your new yacht, motor yacht, ferry, rescue, pilot vessel, workboat, fishing boat/barge to a maximum length of 40m. All work is completed in house by our highly experienced NZMITO trained and skilled staff. Over 40 years proven history in building high quality aluminium vessels. Circa excel in working with clients during the development of their projects. A dedicated highly skilled team will work with a client to bring their ideas to reality or to market. 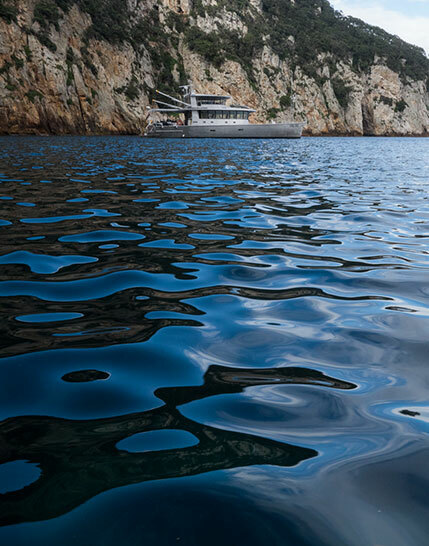 Custom luxury yachts, aluminium products and boat refits are completed in-house by highly experienced craftsmen. We are currently working on a new 24m (78’) Expedition yacht, we are still working through the final concept design.